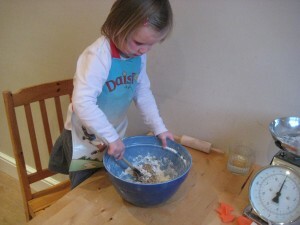 A good recipe to use with children – the dough can cope with lots of handling by the children and the finished biscuits will still turn out OK.
1. Preheat the oven to gas mark 5 / 190 C and grease two baking trays with butter. 2. Heat the butter, sugar and golden syrup in a pan, but don’t let them boil. 3. Stir in the flour and spices. 4. Dissolve the bicarbonate of soda in the water and add to the mixture. 5. Knead it into a ball and then roll out on to a floured surface. 6. 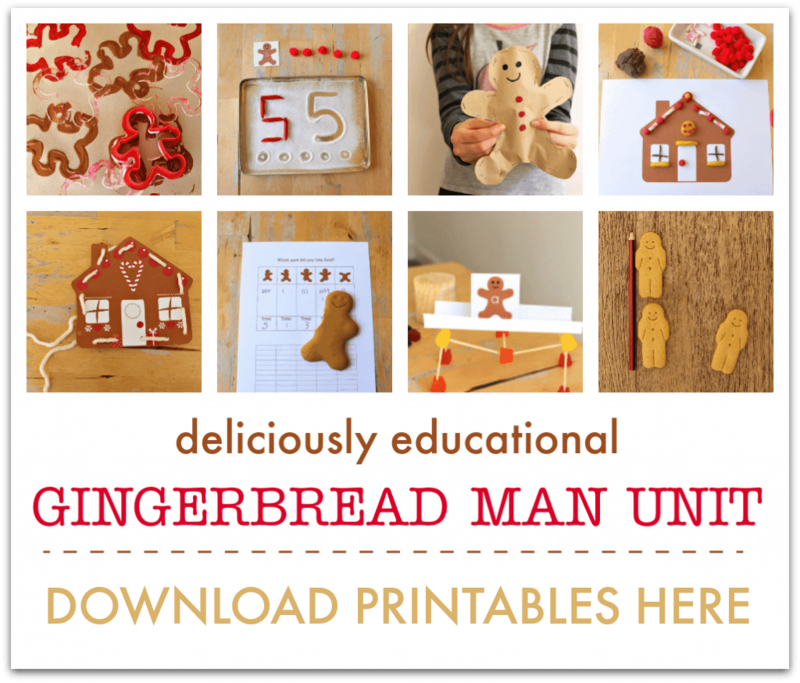 You can make diferent shapes and use cookie cutters to make biscuits – whatever you like. 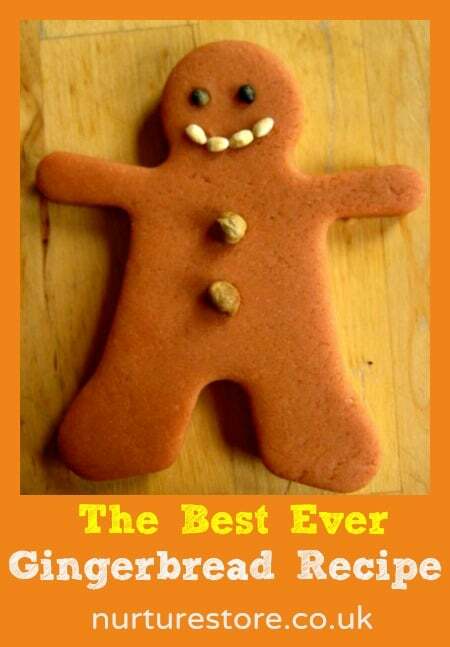 If you’re making gingerbread men, add raisins for eyes / mouth / buttons. 7. Bake until golden (time will depend on how big your cookies are, but check after 10 minutes). 8. Lay them on a cooling rack. If you want to add icing wait until the biscuits are completely cool. Previous article: Birthday Cake Recipe – best ever!Next article: A well stocked craft box – what’s in yours? Made this with my two young children. It was very easy and very tasty, but we must have done something wrong – the dough was way too crumbly and so wouldn’t roll out without breaking. We had to just squish some balls into rough circle shapes instead. Can I leave the dough in the fridge for a day, or even freeze it? Hi Jessica. I have never done either but my guess would be that both would be fine. Let me know if you try it!